Perhaps the news media could not participate in Valve's annual Steam Dev Days gathering and couldn't get news directly from the show site. How to get information? It seems that we must pay close attention to the information that dozens of developers posted on Twitter. Valve focused on virtual reality at this year's party, where they showed a new controller prototype that is compatible with SteamVR. The biggest change in the new controller prototype seems to be that the user can fully open the palm of the hand and the controller does not fall to the ground. Such a controller is somewhat similar to the Oculus Touch controller. 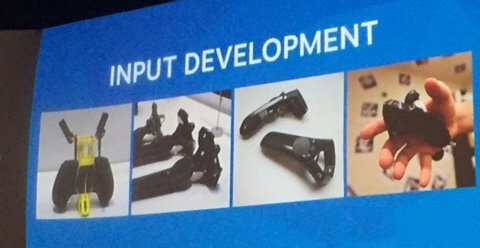 Attendees also stated that they removed the annoying side button of the current Vive controller and replaced it with a system that recognizes the motion of the palm and fingers holding the controller side. However, the following picture does not clearly show how the controller does not fall when the user's palm is open, so we expect to get more news. Valve is adding OSX and Linux support for Steam VR. Steam OS to support high-end open source graphics obviously relies on the Vulkan specification. We hope this represents that the graphics performance of Steam OS will be closer to Windows in the near future. This picture is the SteamVR interface in Linux. Anyway, you should check this out first. Valve is developing "asynchronous reprojection" for the SteamVR platform. As you can see from this name, it is almost certain that this is similar to Oculus's recently announced "asynchronous space warp" technique, which allows 45fps games to achieve 90fps VR-Ready conditions (plus previous ones "Asynchronous time warping" technique). Sony's PlayStation VR also has a similar re-projection system to help bridge the frame rate gap. Valve is also developing a new generation of Lighthouse tracker for 2017. Valve does not perceive these trackers as different from current devices, but we can imagine some improvements that we would like to see (such as a wider range of tracking areas, the portability of power batteries, and devices that can Automatic adjustment function). Valve attaches great importance to the openness of SteamVR platform, they authorized Lighthouse tracking technology to more than 300 partners for their own peripheral products. 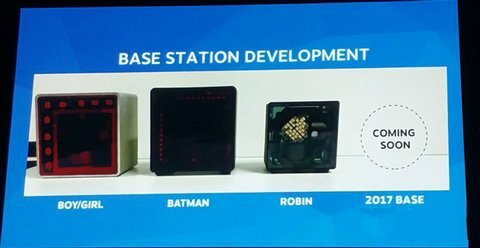 The company stated that they want to make Lighthouse "everything like Wi-Fi" the standard. Steam also created an OpenVR SDK/API that will be used with Steam and other platforms. Valve claims to have 1,000 new VR users logging into Steam every day. For those with poor mathematics, this means that HTC Viveâ€™s sales volume will reach about 365,000 units a year (Oculus Rift users will also play games through Steam, which may cause the data to be biased). Valve is developing new VR software and will be ready to launch the market next year. Valve's product designer, Greg Coomer, said that the announcement will not let everyone "disappointed." I think everyone knows what this means. Yes, they confirmed the existence of "Ricochet 3 VR"!